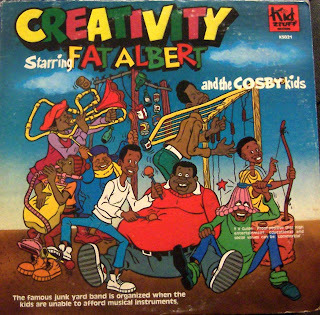 Here's another album featuring Fat Albert and the Cosby Kids. Unfortunately this isn't an album of songs. It almost sounds like our friends at Kid Stuff Records simply took the audio from an episode of the cartoon and stuck it on a record. But they'd never be cheap enough to do that, would they? Click here or here or here or here to download! Mr. T in "The Dilemma of the Double-Edged Dagger"
The Fabulous Beats Go Country Style!